The education sector should focus on ensuring inclusive education for children and youth with special needs (CYSNs) in order to provide equal opportunities for all students, particularly access to education services, Sen. Chiz Escudero said. 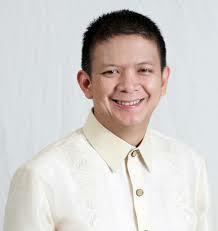 Escudero, who chairs the Senate Committee on Education, Arts and Culture, sponsored on Tuesday Senate Bill No. 1732, also known as the Inclusive Education for Children with Special Needs Act, in a bid to equip the education sector with the tools and resources to make it responsive to the needs of CYSNs as it geared towards integration. "Para sa akin dapat pagtuunan ng pansin ang mga children with special needs. Sa ngayon ang polisiya ng DepEd ay integration. Ibig sabihin, i-integrate sila sa mga ordinaryong klase at paaralan upang maging mas normal ang kanilang pamumuhay," Escudero said. According to recent data from the Department of Education (DepEd), they already recognized a total of 648 special education centers as well as regular schools that offer programs for children with special needs. Out of this number, 471 cater to elementary while 177 cater to high school students. DepEd records also showed that at the elementary level, there were around 250,000 children with exceptionalities who were enrolled for School Year 2015-2016 while there were around 100,000 who were enrolled at the high school level. Escudero noted that one of the main problems confronting this sector of learners is the lack of resources as well as proper training for teachers who will handle the classes of children with special needs. "Our current public education structure lacks the necessary tools and resources in better assisting children and youth with special needs in their learning environment, and the role of the government is to provide the essential devices and employ the right people who will aid them to do well in a natural learning environment," Escudero said. He added: "Importanteng makapagbigay ng sapat na mga kurso para mabigyan ng sapat na training at kaalaman ang mga teachers upang sa gayon makuha natin ang eksaktong datos. Ilan nga ba at gaano karami yan upang makapaglaan din tayo ng sapat na resources para matugunan ang problema at pangangailangang yan." CYSNs are with children with exceptionalities, including those who are gifted or talented, with intellectual disabilities, learning disabilities, physical or health disabilities, speech and language disorders, emotional or behavioral disorders, hearing and/or visual impairments, autism, deaf, blindness, and multiple handicapping conditions, who are in need of special education needs as well as rehabilitation services. According to Escudero, the measure is envisioned to addresses the need for inclusivity in the education system for a fair and just system since most of the schools in the country, both private and public, are unable to cater to the needs of CYSNs.